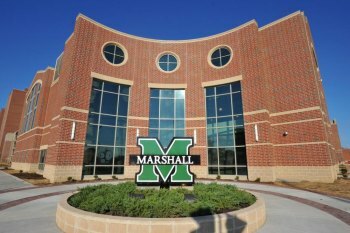 HUNTINGTON, W.Va. - The Marshall Recreation Center will offer a daylong camp for children ages 4-12 who are affected by the teacher work stoppage on Monday, Feb. 26, beginning at 9 a.m. and concluding at 4 p.m. Before and after-care will also be available for an additional charge. $25 for members and $40 for non-members of the Rec Center. Before and After Care is available from 8:00-9:00 AM and from 4:00-5:00 PM on camp days. CLOTHES: Campers should arrive dressed for the activities of each camp. We recommend active wear appropriate for warm weather, as we will be spending time outdoors when the weather permits. Campers should wear athletic shoes (no sandals or open-toed shoes). WATER BOTTLE: There are drinking fountains in the facility, but we recommend that your child has a water bottle labeled with the camper’s name. LUNCH & SNACK: Campers are required to bring a lunch and a snack for the day. All food will be stored in camp coolers. Please label the lunch bag with the camper’s name. No food is provided by the Rec. SUNBLOCK: Activities may take place outdoors. We recommend applying sunblock prior to arrival at camp, as well as, sending sunscreen with your child. SWIMMING GEAR & DRY BAG: Please pack a swimsuit and a towel for the camper and provide a plastic bag to store them in after swimming. Swimming will occur on a daily basis, if the weather permits. Swimming is tentatively scheduled at this time. GYM BAG/BACKPACK: A gym bag or backpack is recommended for the camper’s belongings. Please label with the camper’s name. Further information is available on the Rec Center website athttp://www.marshallcampusrec.com.